You know that these are my favorite type of Mo's Challenge...no challenge at all! I love being afforded the freedom to do anything I want! This week I have a card I made for our youngest granddaughter's first birthday. She has been the joy of our lives for twelve months now. Where does the time go? I've used Mo's "1st Birthday Girl", of course! This is such an adorable image and it's so much fun to color! It's also available as a boy, and both boy and girl are available with curly hair. 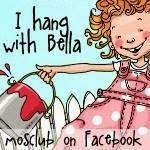 I hope you'll join us in Mo's Challenge this week for a chance to win a $5.00 gift certificate to Mo's Digital Pencil! We'll be waiting for you! This is gorgeous Elaine. I love the image which is beautifully coloured and the design and embellishments are lovely. My daughter is a little older than your grand daughter. She turned 21 last week and the time has flown by so fast. Beautiful card Elaine, Your Granddaughter will love it. A beautifully colored card with beautiful embellishments for a beautiful one your old. So pretty in pink!!! and Happy Birthday to your little grand baby. Fab work Elaing, soooo cute and girly! Happy Birthday from me as well! hee hee Look at that cute little pup. Precious Elaine. 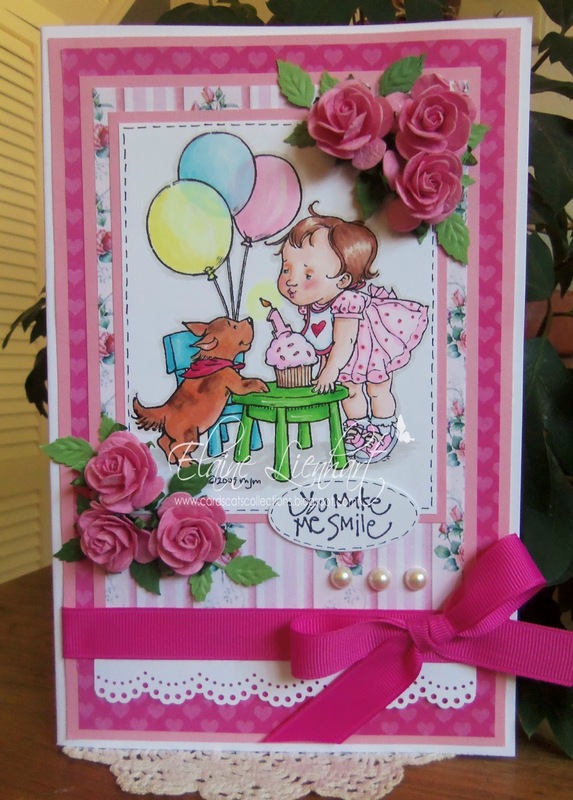 all that wonderful rich pink makes a perfect girly card. Hugs! So cute! Love how you colored this cutie, and fantastic sketch too! Superb card Elaine, I love the yummy pink and the image is so sweet.Its Beautiful! This is so darn cute, Elaine! I totally love the colours and papers you used for this cute image. And your colouring is fantastic! Very sweet card love the colors!! AWESOME! !